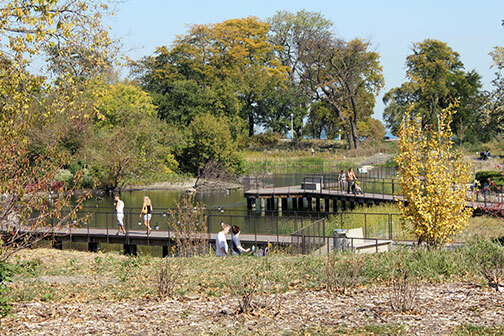 Studio/Gang and the new Lincoln Park Nature Boardwalk. Part One: Raising the Dead - Necropolis as an urban ecosystem. Ecosystem: all the organisms living in a particular area, as well as all the nonliving, physical components of the environment with which the organisms interact, such as air, soil, water, and sunlight. Let's talk ecosystems. When you come right down to it, anything beyond an amoeba is an ecosystem. Each one of us is an ecosystem. The worlds we find ourselves in, the worlds we create for ourselves, the obstacles and the fulcrums encountered on the way. The family you grew up in, the relations of power between you and your parents, your siblings, your friends and adversaries, the house you grew up in, the neighborhood, the street, school and church. The actual dividing line between flesh and spirit I'll leave to the divinity students, but there's no doubt but that our physical environment insinuates itself into the moods and emotions that animate our experience of being alive. It's easy to walk the site of the stunning new Nature Boardwalk, designed by Studio/Gang around the South Pond of Lincoln Park, and feel as if it must have been there forever, but in fact it, too, is a fabrication, the end point of a succession for urban interventions. For untold centuries,before the arrival of migrating Americans, the ecosystem of Lake Michigan varied little and evolved slowly, consisting, according to Eric. C. Grimm in the Encyclopedia of Chicago, of "a mosaic of prairie, oak woodland, and savanna, with distinctive vegetation on sand dunes adjacent to Lake Michigan" where Native Americans hunted down dwindling herds of Bison. Then restless pioneers, the ultimate invasive species, dropped in, and the narrative speeds up. Man's view of nature at that point was as something both beautiful and threatening, to tame, pillage, and displace. In our ambition, we weren't especially tidy. Our roads were mud pits that could swallow up a wagon. We dumped our sewage into the same river and lake from which we took our drinking water. And when it came to the dead, the idea was to dump them where they wouldn't be in the way. 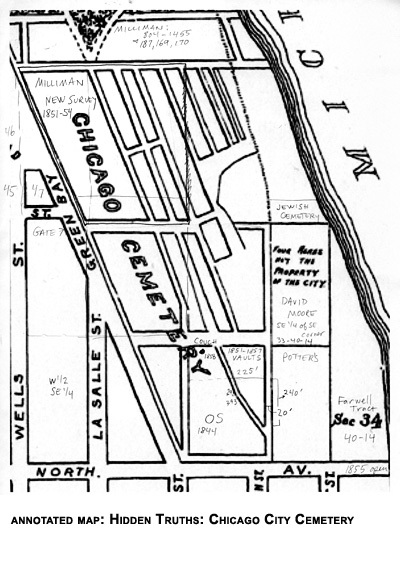 In 1837, as the city began to boom, the State of Illinois ceded the area of the future Lincoln Park to the city for use as a replacement burial ground, "surely far enough out of town to remain forever secure from encroachment." An imposed ecosystem of death now supplanted the sandhill and pine forest. Burials, including re-internments from the older cemetery, began in 1843. 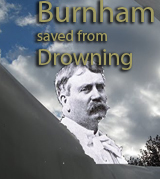 Just as the ambitious and obsessively practical Chicagoans dumped their sewage in the lake, they dumped the dead weight of their deceased without excess sentiment. As early as 1848, mayor James Woodworth was decrying the new cemetery's grounds as being "in a condition incompatible with the desires and character of the People of Chicago," calling for "a proper and tasteful adornment of the depositories of our deceased friends." It didn't happen. The ecosystem of the City Cemetery grew increasingly rancid. Coffins buried nearest the lake were becoming exposed. During the Civil War, the Potter's Field became the resting place, in unmarked graves, of over 3,000 Confederate prisoners from the south side's infamous Camp Douglas who had perished from starvation and disease. 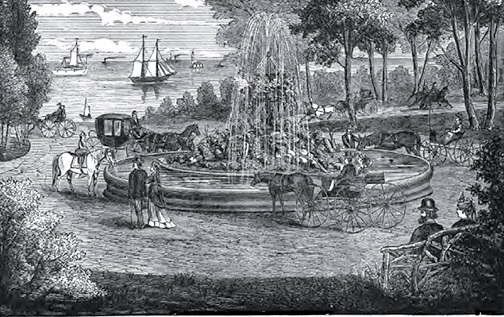 Epidemics of cholera that claimed thousands of lives in 1848 and 1855 came to be seen as directly related to the contamination of the city's drinking water. Because the cemetery grounds were below the water table, there were concerns that bacteria from the bodies was leeching into the lake as it lapped the field of rotting corpses. The cemetery's ecosystem became dominated by politics, as powerful interests clashed over it's future. 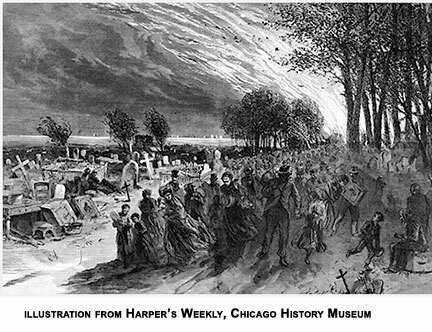 In 1853, the land occupied by the cemetery was absorbed by the City of Chicago. 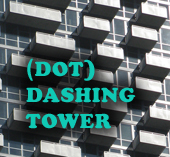 For all the raw boosterism among the city's father's about Chicago's infinite future, they had seriously underestimated - or more likely, simply ignored the consequences - of how explosively it would grow. 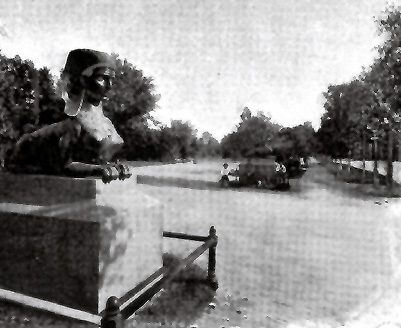 As early as 1855, editorials began to appear advocating making the still new cemetery a park, and the process began with the unoccupied northern 60 acres, soon renamed after the martyred Abraham Lincoln. Yet even after its completion, the enduring stench from the adjacent cemetery kept visitors away. The dead, once again, became an omnipresent, inconvenient truth. In Chicago, everyone was always on the move; there was no reason why the dead should be an exception. Plans were laid to move them out, again, to locations still more distant, like Graceland cemetery, another two miles past the new city limits, expanded in 1853 to include the old cemetery's land. Real estate speculators supported the bill. They correctly assumed because the upper classes had a positive attitude toward a park system, they would cluster around the new parks and boulevards in wealthy residential communities, thereby enhancing property values. Many who lived in working-class neighborhoods along the south branch of the Chicago River did not favor the bill because they feared that their property taxes would be raised to provide entertainment and leisure for the rich. The scene in the cemetery was a very weird one, as may be imagined. It is an old burial-ground, from which many of the bodies had been removed. Leaving some old headstones scattered about, and many, with their mounds, still standing among the thick undergrowth of grass and small oak trees. By nightfall on Monday there could not have been less than thirty thousand men, women, children, huddled within this ghostly inclosure . . . Meantime the roaring ocean of flame nears us. It bombards even this sacred necropolis with its hellish missiles. 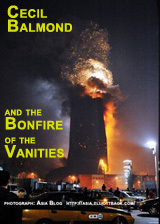 Every-where among the dead leaves fall the blazing embers. The torches alight head first upon the hollow graves . . .
Where nature left off art began . . . The visitor will be delighted with the undulating character of the ground, the gracefully winding and curving avenues . . . the beautiful lakes, the handsome bridges, the splendid foliage, the magnificent statuary, the gorgeous banks, beds and avenues of choicest flowers. the pretty little dells, knolls, and nooks . 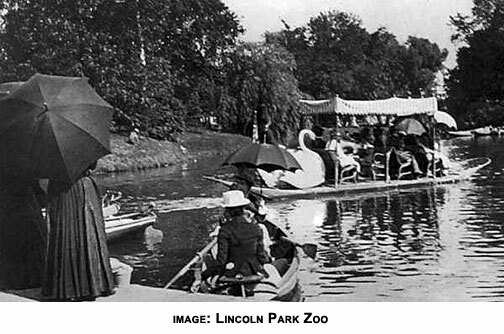 . . [and] the zoological collection, which has contributed in no small degree toward making Lincoln Park famous. "Obvious tensions existed," writes Bluestone, "between the solitary contemplation of natural scenery and the gregarious engagements of the crowd." Lincoln Park Zoo is a perfect example of that conflict. It was created, against the advice of Olmsted, in 1868, with the gift of a pair of swans from Central Park in New York City. Those swans soon became a potent and enduring branding device. 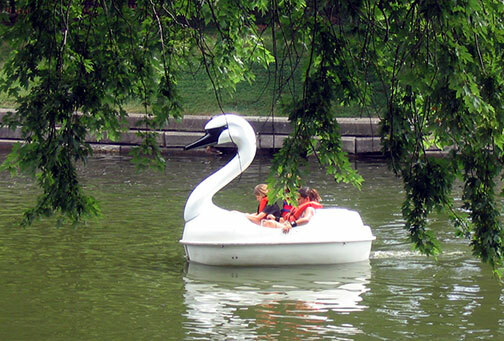 By the mid-1880's, large flatboats, with a dozen or so chairs under a tent and a large faux swan figure stuck on the end, had become a popular attraction on the South Pond, where they eventually evolved to a franchise of small, swan-shaped paddleboats that defined the pond until it closed in 2008 for its most recent renovation. Those paddleboats were a part of a decrepit ecosystem that evolved in place at the South Pond by the time of that 2008 closing. An unnatural concrete and steel lining, no doubt considered "more efficient" at the time of its construction, has become bent and crumbling. Non-native fish specie abounded, such as carp and Koi goldfish, dumped into the pond by bored pet owners. The pond was as shallow as three feet deep, and so stagnant that there wasn't enough oxygen to sustain life during the winter. To be stuck under the ice meant death. The pond stank of decay. Which didn't keep it from being a place beloved by many, who were quite vocal about the change, especially after the pond's not entirely healthy fish population was killed off by poison in advance of the dredging, leading to a discussion, "do dying fish feel pain?" When I first wrote of the new boardwalk this past July, one reader saw little more than trendy hypocrisy, "How many trees were felled and fish killed so that we might attain a great sympathy for 'nature'?" Next: A new civic jewel: the Nature Boardwalk at South Pond. 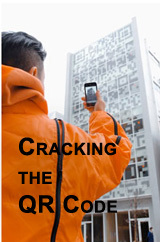 © 2010 Lynn Becker All rights reserved.